My daughter was barely two years old when her fingers were scalded so badly that the skin was peeling off. My wife and I weren’t home at the time so we don’t know exactly what happened. Our Filipino maid, whose name was Beth, said she was carrying my daughter while preparing a milk bottle and accidentally spilled boiling water on my daughter’s hands. Beth then called my wife and we rushed home to find our daughter still crying uncontrollably. We quickly took her to a neighbourhood clinic and my daughter’s fingers healed eventually. Because of the incident and other issues, we finally made the difficult decision to let Beth go. My wife called the maid agent to make the arrangements. A few days later, without giving her any warning, we told Beth that we were sending her home and to pack her things immediately. I know it was a terribly heartless thing to do, but we were paranoid that if we gave her notice of her termination beforehand, she might do something to harm us – or worse, our children – out of spite. In tears, Beth pleaded with us to give her another chance, but we didn’t budge, although my heart was breaking for her. 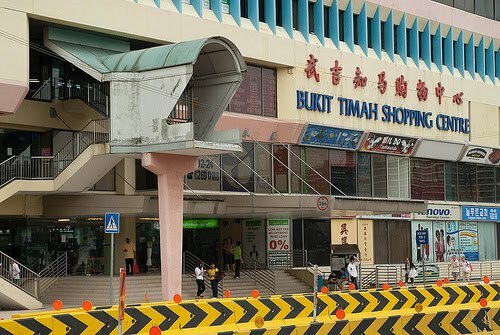 When we took Beth to the maid agent’s office in Bukit Timah Shopping Centre, the agent was very nice to my wife and me, but then turned to poor Beth and scolded her for misbehaving and causing us to fire her. What was a mere scolding from the agent compared to the way we – who looked after her well-being for the past 18 months – were getting rid of her? And just like that, Beth went from practically being a member of the family to an ex-employee. From being an integral part of our lives everyday to a stranger almost, a foreigner – someone whom we would never see again. And we didn’t even say goodbye to her. We just left Beth weeping in the agent’s office without looking back. We never hired another maid. My wife decided to look after the kids herself. So now every time I read about maids abusing the children they’re supposed to be looking after, I’m glad we made that decision. And whenever I read about employers abusing their maids, I’m reminded of the maid agent’s callous attitude towards Beth – and perhaps mine. Now 10, my daughter doesn’t even remember Beth at all. But I do.